Tile backsplashes defend kitchen and bathroom walls from moisture, collecting dirt, grime, mildew, and mold in the process. And while tile is fairly simple to clean (we’ve got the scoop on upkeep for both porcelain and ceramic tile), banishing built-up dingy discoloration from the more porous grout is a real challenge. Fortunately, there’s an alternative to time-consuming scouring and pricey re-grouting: quick and easy, low-cost grout paint! Read on to learn the ins and outs of this product that can get rid of grout grunge and boost the beauty of your backsplash. Composed of latex, fillers, and pigments, grout paint (also called grout colorant) can restore grout’s original color or change it up entirely. When applied to grout lines with a simple brush-on technique, it seeps in and tints the grout without discoloring or damaging surrounding tiles. Two-in-one colorant-and-sealants, like Polyblend Grout Renew from Custom Building Products (available on Amazon), simultaneously tint and seal grout to prevent color fading and inhibit mildew and mold growth. Grout paint comes in a variety of colors, so it can be used to complement any design scheme. And it’s hardly limited to backsplashes; many grout paints are designed for use indoors and out on for walls, floors, and other surfaces. Is it good on all grout? Home centers stock grout paint for use on sanded or un-sanded varieties of cement, epoxy, acrylic, and urethane grout. The packaging on the paint specifies what type of grout it’s suited for. A successful, long-lasting job, however, requires structurally intact grout. Paint won’t adhere well to fraying or crumbling grout—and if you try to paint damaged grout, its condition will continue to worsen after painting. If your grout is in truly bad shape, re-grouting the tile is a better option. How does painting compare to cleaning and re-grouting? • It effectively restores color. While laborious cleaning will banish dirt, no amount of scrubbing will bring back the original shade of discolored grout. Paint can restore the white shade many homeowners associate with a nice, new tile job. • It’s inexpensive. Eight ounces of grout paint runs about $12 to $15 and can cover between 50 to 300 square feet, depending on the width of grout lines. So a do-it-yourself grout paint job can be as low as $0.04 to $0.30 per square foot! 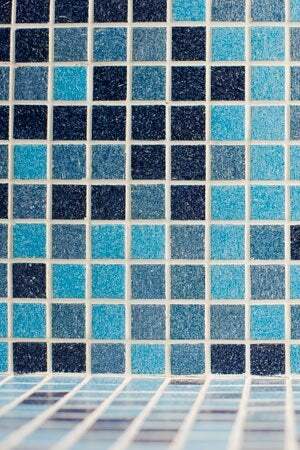 Professional grout cleaning alone costs $0.75 to $1.25, while cleaning and sealing run $1.50 to $2.50. You’d spend between $0.65 to $0.70 per square foot to re-grout the tile yourself, or $5 to $20 per square foot to hire a pro. • It won’t dislocate tiles. Re-grouting entails removing old grout, which can weaken the bond between tiles and the wall, potentially dislocating tiles. Paint, on the other hand, has no effect on the tiles. • It’s fast! Painting the grout lines of a six-square-foot backsplash can take as little as half an hour. Depending on how soiled your backsplash is, it can take up to an hour and a half to manually clean the grout or anywhere from half a day to a day to re-grout the same sized area. • It allows for color customization. While conventional grout comes in a limited range of neutral shades, Grout Renew, for example, is available in 40 different shades. Grout Renew also lets you re-paint over previous grout paint. What techniques lead to successful grout paint application? For a great grout paint job that you’ll be proud of, be sure to prep, paint, and cure properly. • If restoring the original color of the grout, choose a grout paint color that matches the original grout shade as closely as possible. • If changing the color of grout, keep in mind that lighter shades start out looking cleaner, but darker shades more effectively hide surface grit and stains. • Grout paint can be applied to glazed or unglazed tile, but if your backsplash is made of unglazed tile or a porous material such as stone, top it with a sealant like TileLab SurfaceGard Sealer (available on Amazon) prior to painting grout so the tile won’t absorb paint during application. • Remove grit and efflorescence (white mineral deposits) that can weaken the paint’s adhesion and bonding. Apply a diluted commercial grout cleaner like Aqua Mix Sulfamic Acid Crystals (available on Amazon) to the grout lines with a sponge, let it dwell for a few minutes, then scrub with a brush. Wipe with a water-dampened sponge and towel dry. • If painting newly installed grout, allow it to cure for at least two days before painting. • Consult paint packaging for the optimal ambient temperature for application. Grout Renew, for example, recommends a temperature between 50 to 80 degrees Fahrenheit. • Always wear chemical-resistant gloves before painting grout. • Shake the bottle well to ensure uniform distribution of pigments. • Practice your painting technique in an inconspicuous location of the tile surface. • Pour paint onto the center of each grout line in a narrow bead. 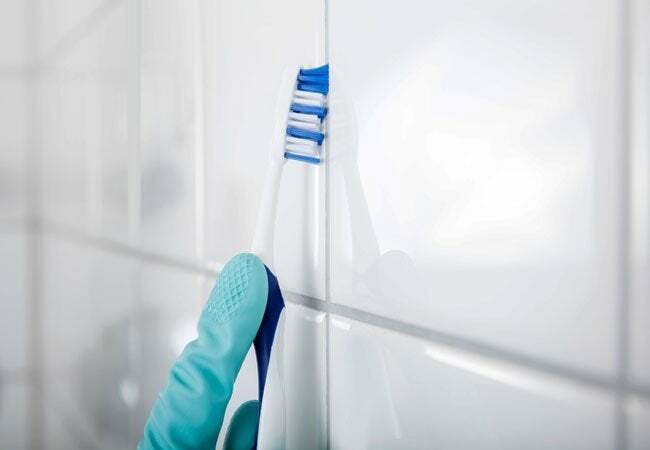 • Use short, back-and-forth strokes using a standard manual toothbrush with a one-inch brush head to distribute the paint evenly over grout lines. • Paint grout in manageable sections of no more than three to four feet at a time. 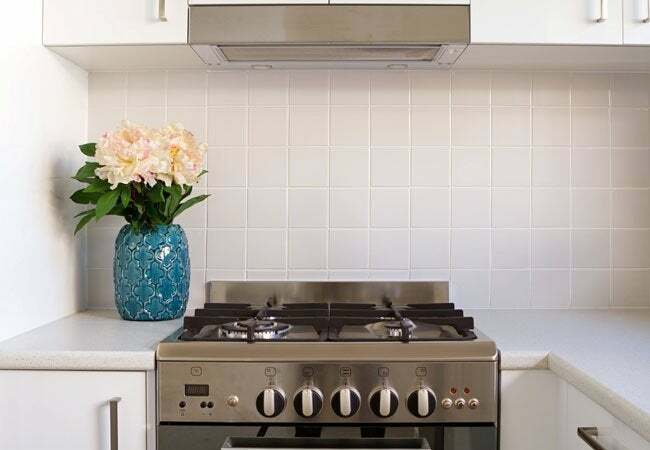 • If the backsplash is made of unglazed ceramic, textured (unpolished) porcelain, or frosted glass tiles, remove excess paint from tile as you go with a water-dampened paper towel. • Let paint set according to the package instructions, usually anywhere from half an hour to two hours. • If you’ve got a glazed ceramic or smooth glass tile surface, lightly spritz it with plain water from a spray bottle, let the water dwell for five minutes, then gently scrub down the tile with a nylon scrub pad to remove any errant paint. Make a final pass over the tile with a paper towel to pick up sloughed-off paint. • Keep moisture away from the painted grout for at least 24 hours after painting. How can I keep the grout looking great? • Clean painted grout weekly with a mild cleaner like Aqua Mix AquaKleen (available on Amazon), gently working it over the tiles and grout lines with a soft sponge and then wiping up any excess with a dry cloth. • Avoid applying solvent-based paint strippers to the tile, which can remove the grout paint. • Touch up with fresh grout paint as needed, noting that heavily scrubbed areas may cause grout paint to erode over time.